My latest book, Dream On! A book about Possibilities, is in part a tribute to my father who passed away in 2013. On his last visit in 2012, we saw the Space Museum, part of the Smithsonian Museums in Washington, D.C. We viewed the actual planes, rockets and spacecraft that had been in space on various missions. As a mechanical engineer my Dad had developed several parts for various crafts through the years that impacted many space missions. In fact, NASA invited him to Atlanta to receive a Lifetime Achievement Award for his several contributions to America's space program. At the museum, my Dad explained to me how he invented a valve that released cabin temperatures in under three seconds as astronauts approached reentry to earth. Internal temperatures were extremely during reentry to the Earth's gravity as they approached the ocean for their landing. Astronauts on previous missions had to eject prematurely because of the heat. His valve helped release cabin heat safely. Many people are involved in each mission, and I'm proud of my Dad's contributions to our space exploration. 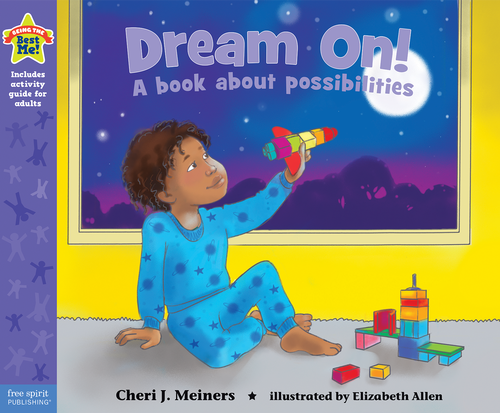 This newest book is for girls and boys who are at an age when almost anything they dream is possible, The images of stars, spacecraft, and astronauts are part of the dreams of many children, but are also symbolic of the wide open possibilities of the dreams of all children. I hope that this book helps you as a parent or teacher to nurture the dreams of your children.